Learn how to make these super cute sequin firecrackers to decorate your home for the 4th of July. This craft is very easy and lots of fun. It's a great one for kids too. This step-by-step tutorial shows you exactly what to do. They are very easy to make, and you don't have to go and purchase a bunch of expensive craft supplies. Once I started making these fancy faux firecrackers, I didn't want to quit. Before I knew it, I had a whole bunch of them of all different sizes. Are you having a 4th of July party this year? These would make great party decorations. Imagine them at night with party lights or candles lit nearby. They would be so shiny and sparkly! For decoration in your home, you could sit them out in groups or put a group of them of varying heights in the middle of your dining room table to make a glitzy red, white, and blue centerpiece. You could even make matching napkin holders. 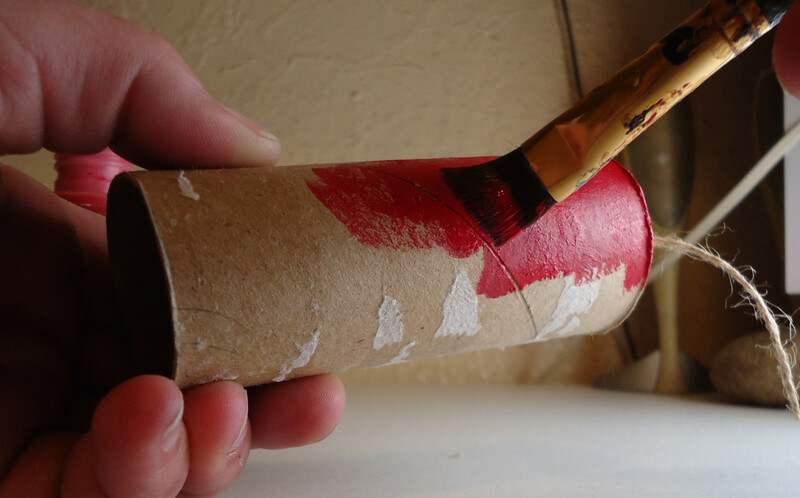 Take your empty cardboard tube and sit it upright on the piece of chipboard or old cereal box and trace around the edges of it. This will be the top of your firecracker. After the top is traced, cut a few mm OUTSIDE your traced circle. Once the circle is cut out, poke a small hole right in the middle of the circle. You can do this with a small hole punch or cut a little slit with the end of a knife and poke a wooden skewer through to widen the hole a little. Be cautious not to get the hole too big. Next cut a piece of jute about 4 or 5 inches long and tie a knot on one end. Take the jute and thread it through the small hole in the cut out circle and pull it up until it catches on the knot in the jute. 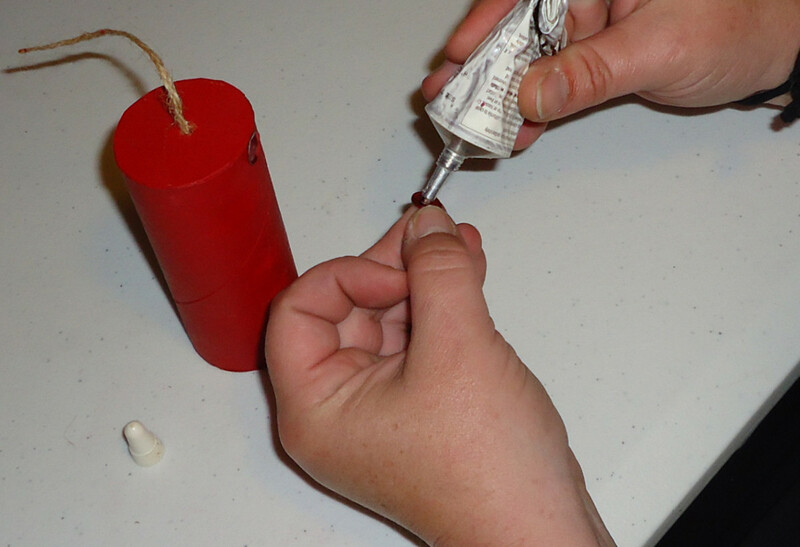 Place a dot of glue on the top of the jute knot to glue it in place and prevent it from falling back through. 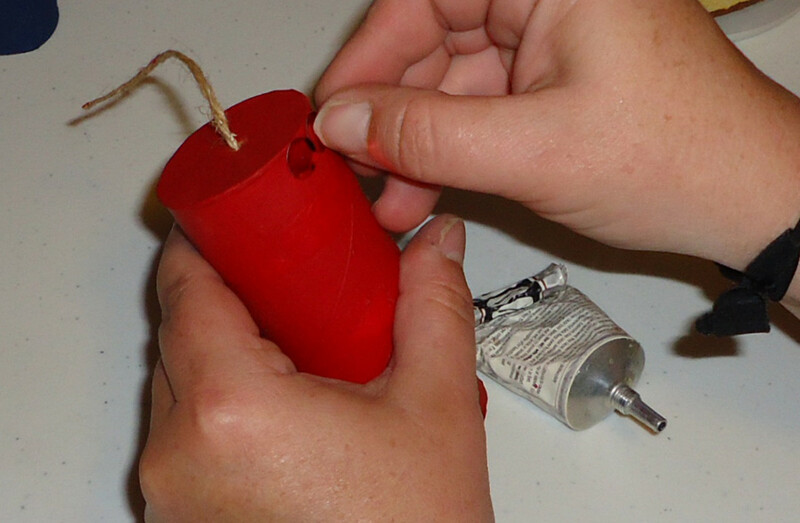 **Tip** If you choose, you could paint your cut out circle top before threading and gluing the jute in place- it will just make it easier to paint your firecracker later OR you could add the wick at the very last after you've decorated the firecracker by threading it through the top and tying a knot. Now take the E6000 glue and apply a decent amount of it completely around the top edge of the empty tube and then put the cut out circle on top of the glued edge. Make sure the wick side is showing and not the knot. The cut out circle should overhang just a bit all around the tube. Make sure the top and the tube are stuck together completely by turning it upside down and pushing gently down on the tube. Then put it aside and let the glue dry for about an hour. After the glue is dry, take some scissors and trim the excess chipboard that was overhanging around the top of the tube. Trim it as perfectly flush as you can with the sides of the tube. Your firecracker is now done and just waiting to be painted and decorated! Get out your red, white and blue paint. You can paint it one color or several it's up to you. I used Plaid and Apple Barrel acrylic paints and they covered very nicely with just one coat. Be sure that when you are painting the top to be careful and not get paint on the jute wick, if you chose to paint the top before you added the wick (like in the tip I shared) you don't have to worry about it. When you are done painting, let it sit and dry for about 20 to 30 minutes. If you just wanted to paint your firecracker with no further embellishing, you can stop here. Just make sure to use some sort of spray sealer to protect the paint, especially if you painted a special design on it. Now is the fun part! It's time to add the sequins. Just put a dot on the back side of the sequin (cup facing out) or a dot on the tube, however you want to do it and start gluing sequins on. It's best to start at the top and work your way down. Whatever design you want to do is up to you. You can do stripes, solid colors, trace a shape or mark your own dotted template for the placement of sequins. It's fun working with the multiple colored paint and sequins because it gives you so many possibilities. If you are making more than one firecracker, play around with the paint colors together with sequins. You could try putting blue sequins on a red painted tube or white sequins on a blue painted tube and so on and so forth.. just mix it up and do them all different. You can achieve many different looks with these. If you are working with smaller size sequins, it will take longer to get the whole tube covered but it's also well worth it because the more sequins you use, the more sparkly it's gonna be! 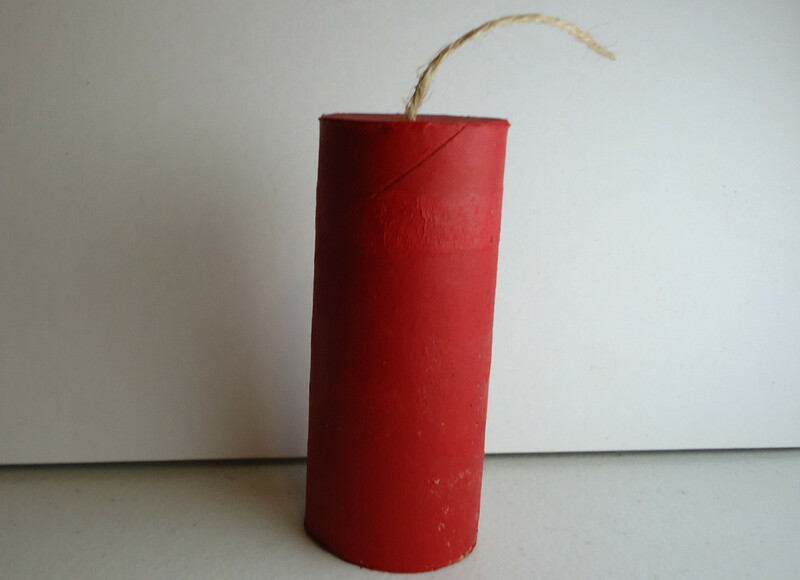 I made several firecrackers and used different types of tubes to make them. They were all different circumferences so I got all kinds of different looks. 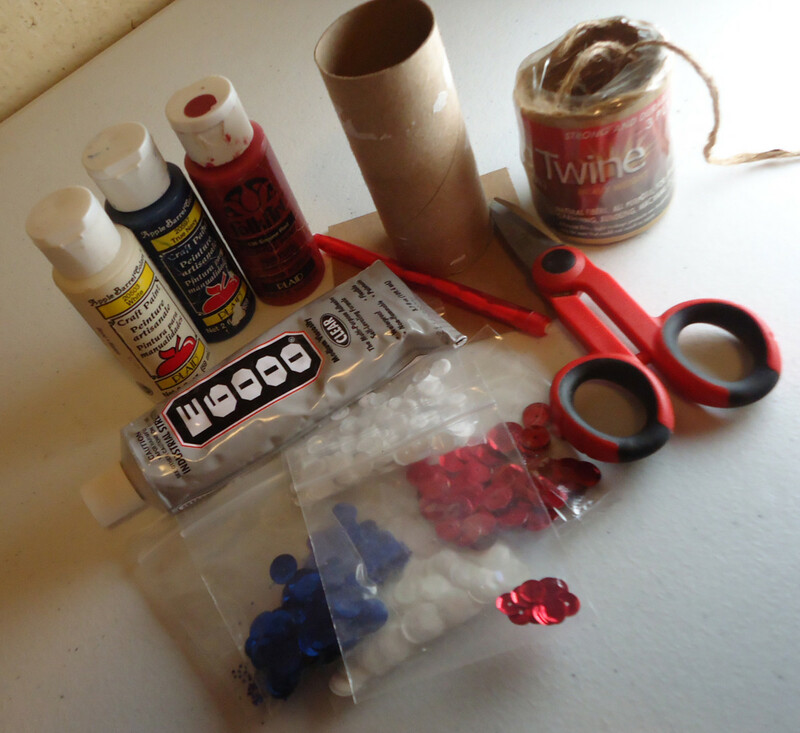 The wrapping paper tubes were smaller around and the paper towel tubes were bigger so if you are planning to make a bunch of them and want them all to look a little different, try using different type tubes. Don't forget you can make them as tall or as short as you want. Instead of sequins you could use resin rhinestones, glitter, seed beads, buttons, etc... to embellish your firecracker(s). See my photo below! Tie groups of 3 or 4 firecrackers together with raffia for decoration or as a centerpiece for your dining room table or for multiple tables, like for a party. To make them more stable you could put some rice, beans or rocks inside and glue bottoms on them the same way you glued on the top. 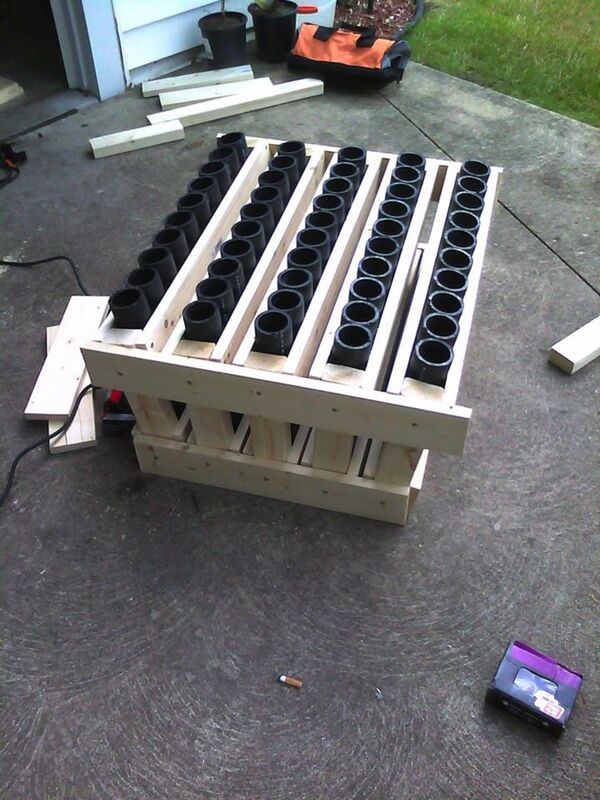 This will help make them more stable around candles and keep the wind from blowing them down. Make some glitzy matching napkin holders! Make a firecracker wreath-cut a flat 0-shaped form out of cardboard and stack them next to each other all the way around! 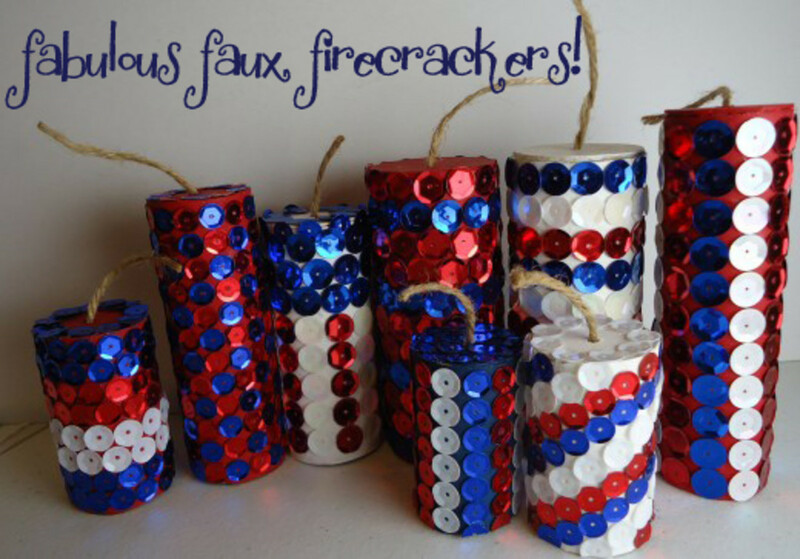 I hope this hub has inspired you to create some of your own fabulous faux firecrackers! P.S. Have a look at the jeweled firecrackers below. Go have a look at the jeweled firecracker tutorial! So cute!!!! I've already got my toilet paper rolls in use holding wires for the hubby but I can use paper towel rolls for these ideas! Thanks :) Voted up and useful and SHARED!!!! Yay toilet paper rolls! (Never thought I would say that). Super cute idea...now just have to add this to your "clever crafts with tp rolls" hub. Did you already? These are really cute and would be so much fun to put together with kids! Thanks for the great tutorial. Hi Jamie, very nice way to decorate you home on the 4th . RTalloni- You always 'blow me away' with your nice comments! I'm glad you like these.. I do so many craft tutorial round-up type hubs that I figured it was time that I do one of my own craft tutorial :0) I got this idea in my head about these firecrackers and now I can't quit making them! I agree with you.. 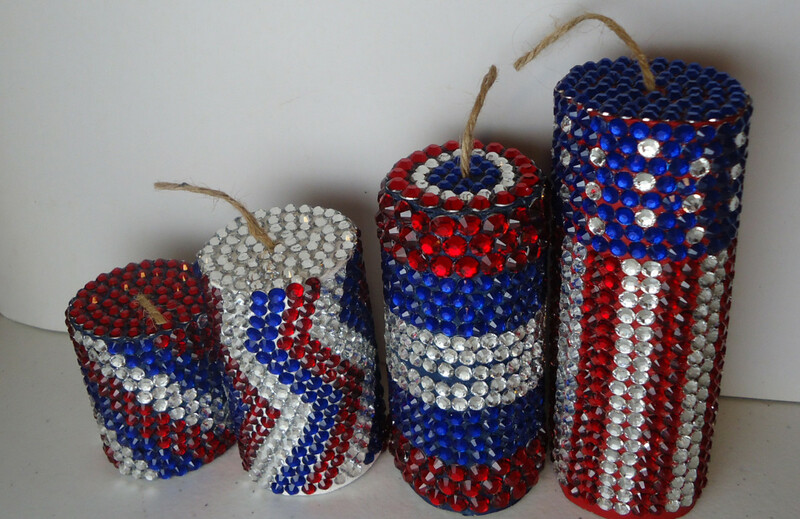 I think these would make a super cute centerpiece for the 4th. Thank you for stopping by!! This is such a good idea. And so much safer than the real thing! I can imagine making these for our (UK) bonfire night, 5th November. I must say it, this is an explosive hub. :) These really are just plain cute. They would make a great centerpiece for a July birthday! These are super cute! What a great idea! You did an excellent job of clearly listing the steps and explaining ways to customize :) Voted up! Cindy, Thank you! I had lots of fun making them.. I'm still making them LOL! These are really cute and look so easy to make. This would be a fun craft to do with kids as well. 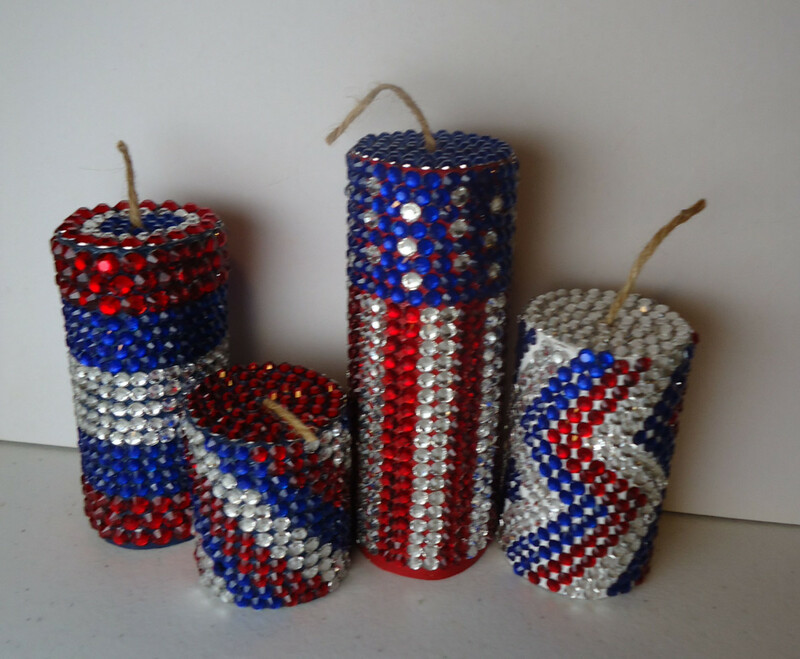 And they are a great decoration for the 4th! It's a winner!